Patty and Terry Horvath sporting their bright green volunteer T-shirts they had made for their “Seaing Our Dream” cruise where they helped book and plan a cruise for 51 visually impaired individuals. GRAND BLANC— For most people, seeing is believing. Yet, a group of 51 visually impaired individuals would disagree after returning home from a tropical vacation where they witnessed their dreams come true through the simple touch of caring hands. 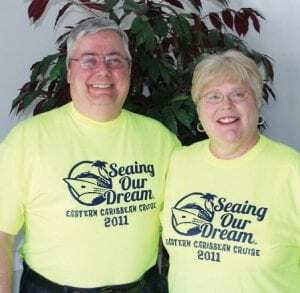 The group, along with seven volunteers, set sail on Feb. 12 for a sevenday Eastern Caribbean cruise aboard the 3,600 passenger Carnival Dream all because of the hardwork and dedication of Grand Blanc residents Patty and Terry Horvath. 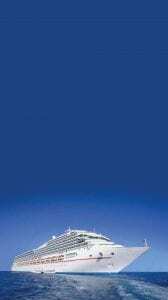 Patty is used to planning and booking the perfect cruise vacations for others as she is the founder of her very own travel agency, Best Cruises and Tours. Despite the years of experience and personal knowledge on cruises, these last two years proved to be challenging for Patty and her husband, Terry, as they spent much of their time planning and booking a cruise for the visually impaired. The Horvath’s began advertising at different venues to see if anyone was interested in such a trip and Terry even threw the idea out while attending a conference for the American Council of the Blind (ABC). As Terry would later find out, about 70 percent of the blind never get a fulltime career so paying for a cruise is difficult for some of them. “Once we found out about the financial difficulties, I booked the cruise a good two years in advance to keep the prices down and then we started a payment plan so it could spread the cost out for those that needed,” Patty said. News once again started to surface at conferences, at camps for the visually impaired and in conversations that the Horvath’s were still trying to organize a cruise for the visually impaired and soon they had a group of 58 total ready for the experience of a lifetime. “Most of the people that went were actually from Philadelphia, and that was interesting because 95 percent of them had never met us and they were putting their faith in us and trusting that someone would be there to pick them up from the airport,” Patty said. Although admittedly a lot more work than they had anticipated, Patty and Terry both said the experience was very rewarding and one they would possibly consider doing again some day. Terry said he and Patty arranged for the group to go on custom tours where they would get to experience the history, culture and shopping each stop had to offer. Terry said the welcoming arms of those at each of the destinations were “fantastic” and said Carnival, the locals, airplane lines and hotel chains all really stepped up to the challenge and made the trip enjoyable for all. Patty agreed stating she “could not think of one bad thing to say” about the organizations used in planning and said the overall trip was a complete learning experience for her. 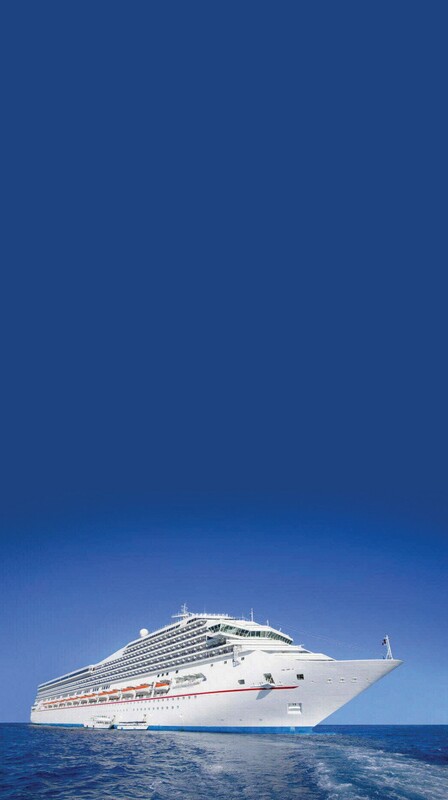 For more information on Best Cruises and Tours, call 810-953-0180 or visit www.bestcruisebookers.com.